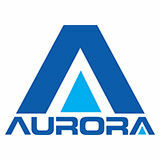 The Aurora Lighting Group is an international, privately owned LED lighting and technology organisation. The core values and East-West partnership upon which it was founded continue to underpin the company today. The Group is vertically integrated, offering services from manufacturing to project delivery, under the Aurora and Enlite brands. All Aurora products are specifically designed and manufactured for the residential, hospitality, retail, commercial and industrial applications.